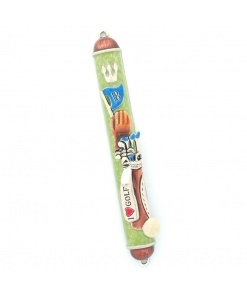 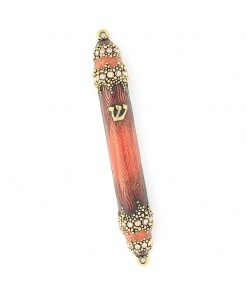 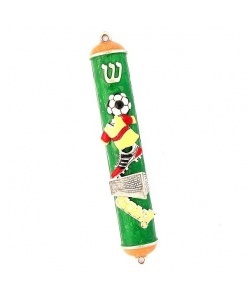 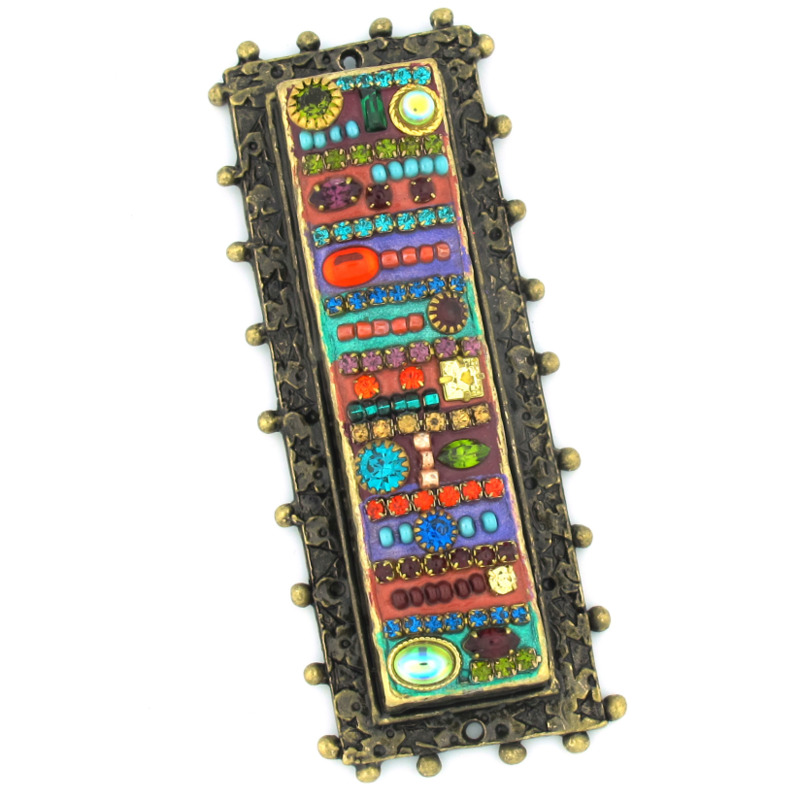 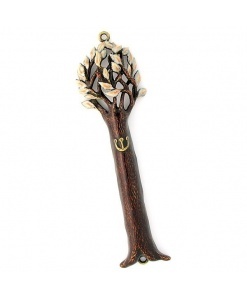 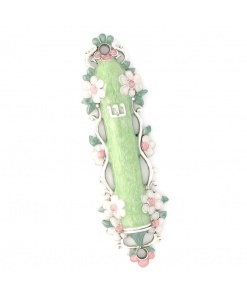 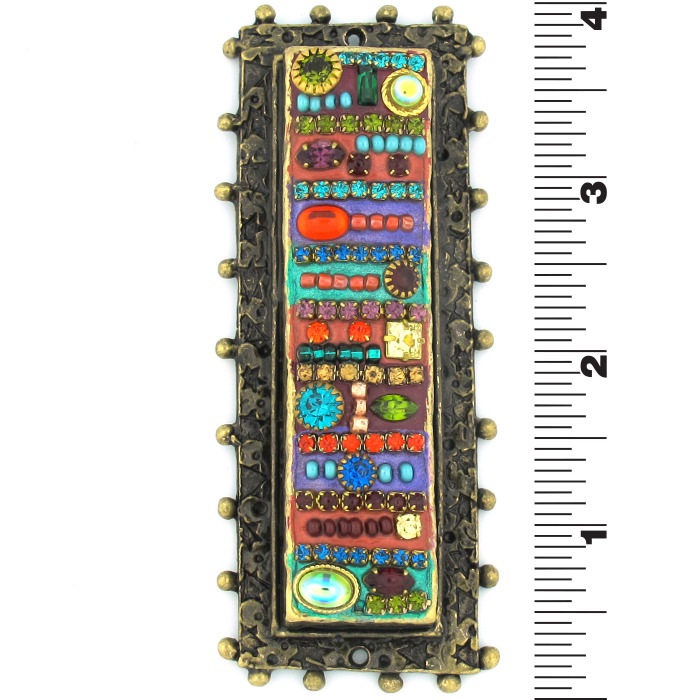 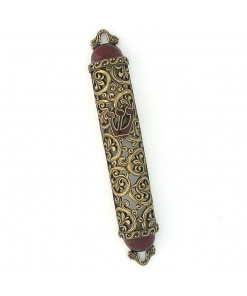 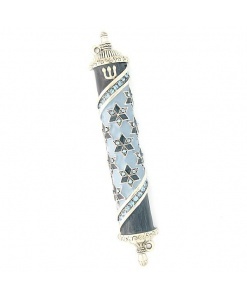 This Intricate Framed Mezuzah case is designed by Israeli born artist Michal Golan. It combines the look of the antique with contemporary fashion sensibility while maintaining meticulous attention to detail. 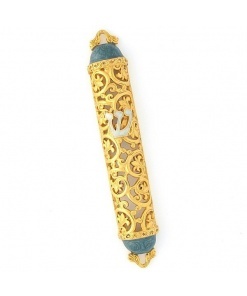 It is made in the U.S.A. and inspired by Byzantine jewelry with its generous use of gemstones and from jewelry made during the regime of Queen Victoria. 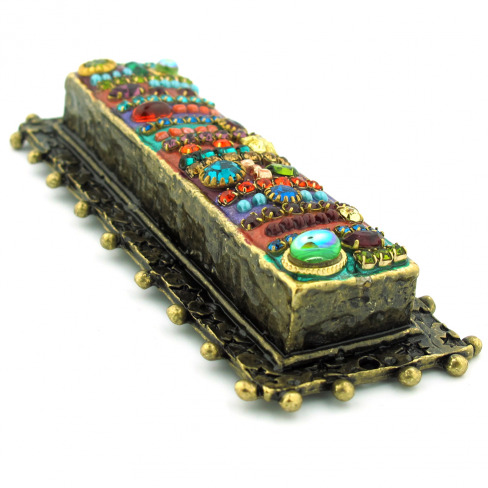 Influences from Middle Eastern art, particularly Mosaic styles, are also apparent.